Cucumber is the kind of refreshing food that I don’t have to feel bad about craving during my pregnancy. As the weather gets hot, I’ve been envisioning it in every and any form. A recent gazpacho from Calyer inspired me to make some myself. I found this easy recipe. 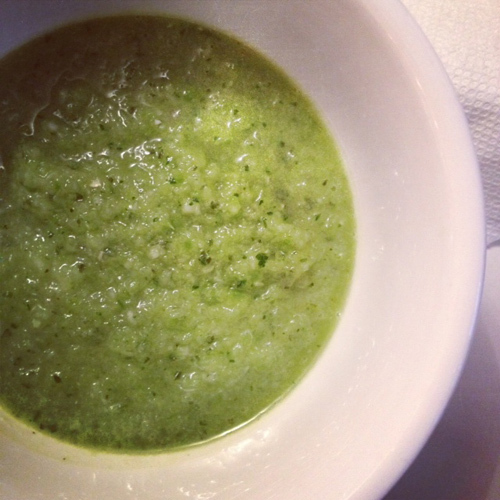 It wasn’t a hit with the whole family – Jim found it a bit overwhelming in taste (there’s lots of garlic) but I really loved this and it’s just right for summer time. I omitted the jalapeños so I could share with Van, but I’m sure a spicy kick would be a great addition. Delicious! 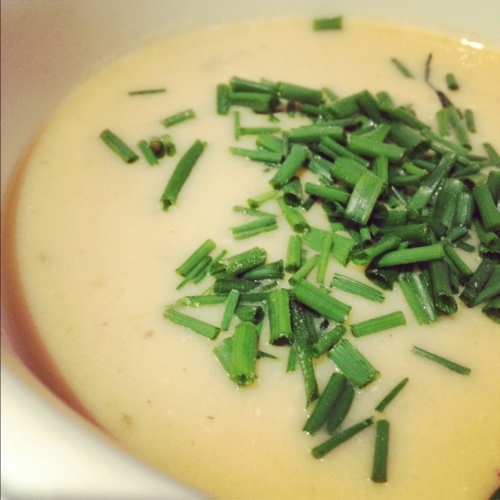 Potato Leek soup is a personal favorite but this is my first time making it myself. I trusted Alton Brown with the recipe which can’t claim to be low fat but is amazingly yummy both hot and chilled. Best left over lunch ever! 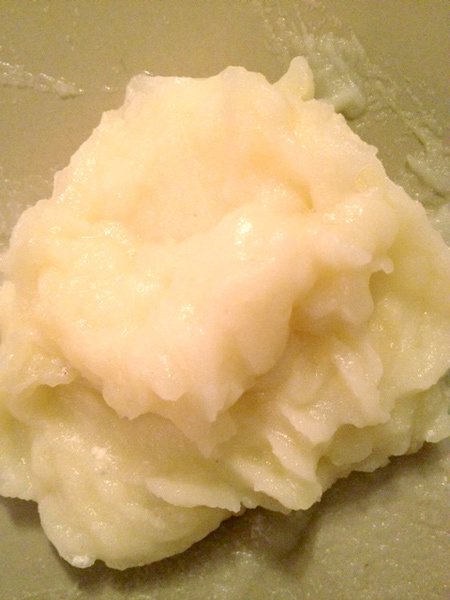 These Buttermilk Mashed Potatoes may not be much to look at but I can’t tell you how delicious they are. We were raving with every bite. They are healthier than other recipes I’ve seen because there’s only a tb of butter. And don’t let the name Buttermilk unnerve you, it’s less fat and calories than whole milk. I am a big buttermilk fan, so it’s nice to find a recipe that displays it so nicely. This recipe is very easy, but leave yourself about an hour for cook time. It made me, a person with no problems with boxed mashed, never want to have potatoes any other way.